It’s been a long while since we’ve received a balls out action movie that works on every level. Luckily for us, filmmakers Chad Stahelski and David Leitch have concocted one hell of a brutal, fun, and highly entertaining action film, starring the man, the myth, the legend Keanu Reeves. If you’ve been bored with your action movie choices as of lately, don’t worry, ‘John Wick‘ is the ultimate action flick of the year. Sure, it’s a story that you’ve seen many times before, and I’m sure you’ll see many times after this one, but ‘John Wick‘ is filmed so well, has great performances, and is as brutal as you would hope in a gut wrenching action film, that you’ll leave the theater fully satisfied and wanting a ‘John Wick‘ franchise. From here, Wick is on a path of destruction as he goes through bad guy after bad guy to kill the people who stole his car and took away the thing that meant most to him. 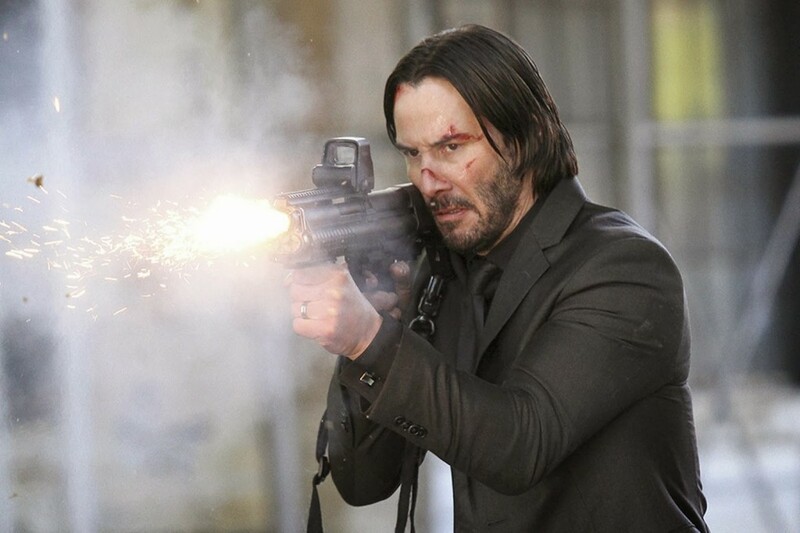 And man, Wick is unrelenting as he is a skilled martial artist and professional gun handler. He can take out any person or obstacle that gets in his way. And the directors do a perfect job of not cutting every three seconds so that we can get a long good glimpse at the excellent fight choreography so we can see the scenes play out and the stuntmen and actors perform their skills. On top of that, it’s a lot of fun with some great lines of dialogue that will muster up some laughs throughout. ‘John Wick‘ isn’t a silly film by any means though. It’s raw, tough, and has some of the best shot action scenes in a very long time. You’ll feel every hit, shot, and kick full on, leaving you glad you weren’t there in person to get a swift kick to the face. This movie pulls out all of the stops and is one of the most entertaining action films of recent memory and Keanu Reeves as always is a badass and great on film. Film Review: ‘John Wick 2’! Fernando’s Film Review of ‘John Wick’!! 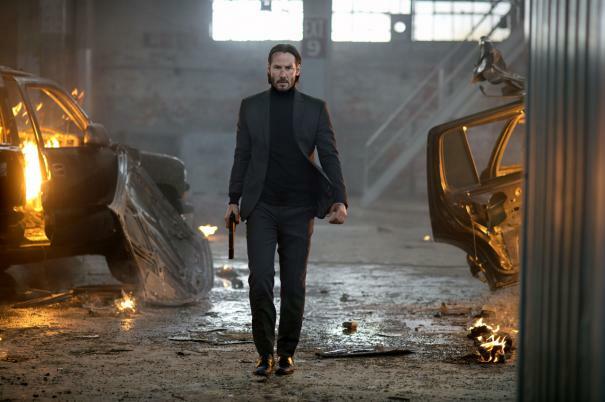 Keanu Reeves Is Standing His Ground in ‘John Wick 2’!!! ‘John Wick: Chapter 2’ Has a Trailer! This entry was posted on Sunday, September 21st, 2014 at 2:07 pm	and is filed under Film, News. You can follow any responses to this entry through the RSS 2.0 feed. You can skip to the end and leave a response. Pinging is currently not allowed. Nice one Bryan! Love this review and I can’t wait to watch it. Keanu always delivers! « Film Review: ‘The Babadook’! !